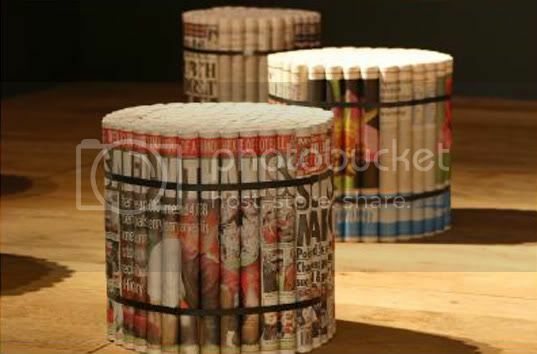 5 appreciated comments on "Rolled Newspaper Stool"
No way!! haha, are they are sale or just DIY?? 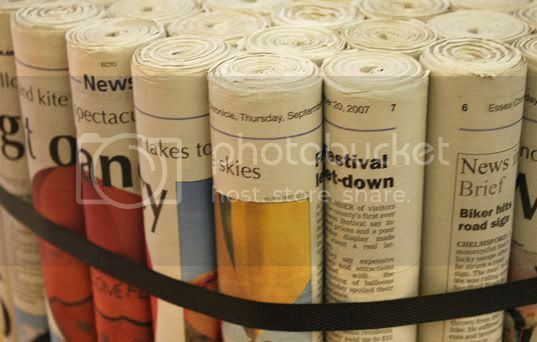 I had exactly the same thought when I saw a bunch of wrapping paper tubes in the recycling can. I really wanted to take em out but maybe that's too far in recycling in schools and two, it would have made a over tall and uncertainly stable stool! the most awesome idea ever its easy to make and strong enough to support something quit!FUN AND SOOOO KWL!!!!!!! !